David Dean noticed his hearing deteriorating over a period of 13 years. He started having to get people to repeat things and was trying to tell what people were saying by the expressions on their faces. It got to a point when it was affecting his lifestyle and he was stopping doing things he enjoyed. It even affected his relationship with his wife, Ann. Ann effectively became his interpreter, explaining what people had actually said after events. And Ann felt David’s hearing loss was isolating for both of them. David had hearing aids fitted, but didn’t find them to be much help. Ann and David moved away from Newbury, having lived there for many years. So on a visit to see family, David paid a visit to Mary Hare Hearing Centre for an assessment. Compared to his previous experience, David found the assessment process at the Hearing Centre far more thorough and professional. And Steve Donohoe, the Hearing Centre’s Audiologist, asked him many more questions to get more details on his way of life. 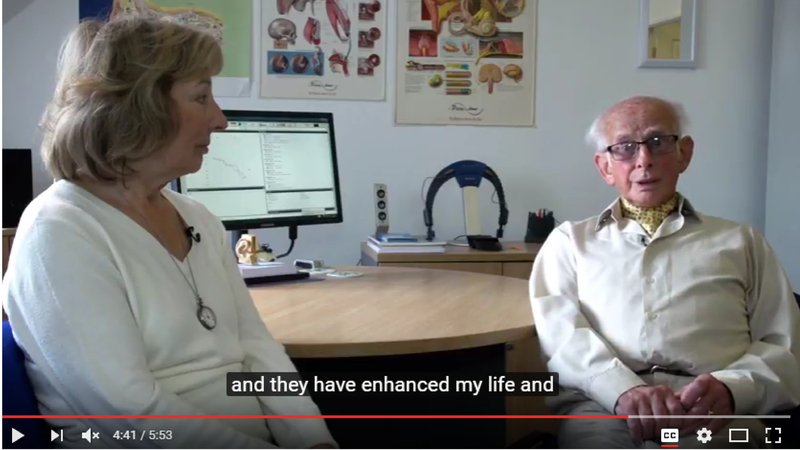 Watch the video to see more of David and Ann’s story.